.SAVE..April 6-12 -22-30 available!.. partials welcome ... lets make a deal! PARTIAL WEEKS ARE SOMETIMES AVAILABLE IF ITS CLOSE(WITHIN 2 WKS) OF ARRIVAL . Last Minute specials also available. The Breakers complex is a direct oceanfront complex. Directly across the street is Coligny Plaza which has shopping, theater, restaurants, coffee house, bakery, toy store, groceries, pharmacy, and everything you could possibly need during your stay within 50 yards. Thanks and God bless, Rob Kuzich. THE BREAKERS WHERE IVE OWNED SINCE 1999... We stayed at the Breakers the first time I visited Hilton Head Island and fell in love with the complex, the proximity of the Atlantic Ocean,and Coligny Plaza. During that visit we purchased this unit , we have also bought and sold a few others both in the Breakers and other parts of the island. Hilton Head Island truly is a paradise! My family considers it a home away from home. YOURS WILL TOO! we had a really nice stay. it was a quiet and relaxing time. villa was nice. no complaints. we would stay there again. Had a great time in HiltonHead again. Nice first floor unit. There are no elevators so it is a hassle to be on the second or third floor. Ocean view from the patio deck. Small but perfect for a couple. Unit could have less clutter in the closets and under the bunk beds in the hall. Over all it was clean priced right and had everything we needed for a weeks stay. 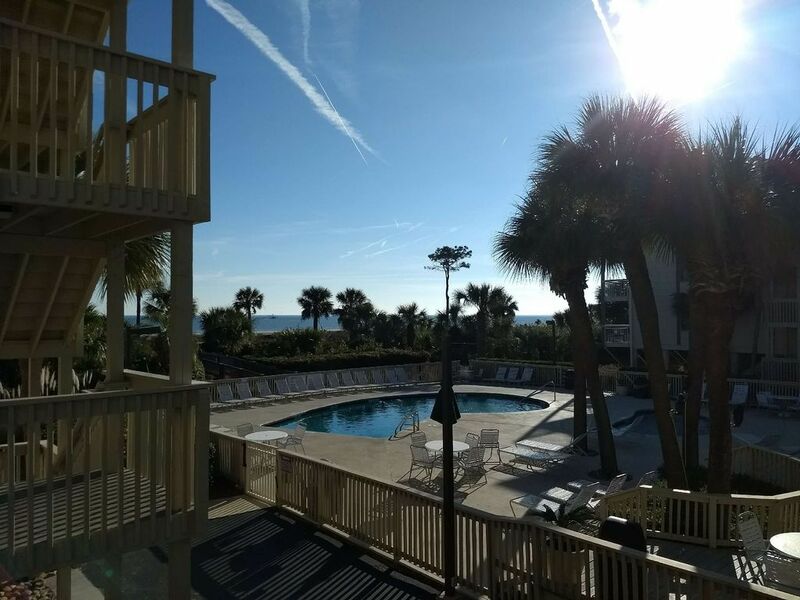 Pool is nice and only few steps to the beach and Coligny shopping center. Clean, Affordable, Location, Location, Location...This condo will be my first choice from here on out. Clean, has a beach vibe, all appliances worked great. The place was nice and clean, within walking distance of shops, restaurants and the beach! Perfect for me and my friends. Enjoyed our stay, perfect for two adults and two kids. The property was nice with a nice view of the ocean. Everything we needed was in walking distance even a short distance from the beach. Dining, Walking/Roller blade trail across street, Water park close by open May to September.